The Red Margins: "That's a Non-Starter, Murgatroyd." 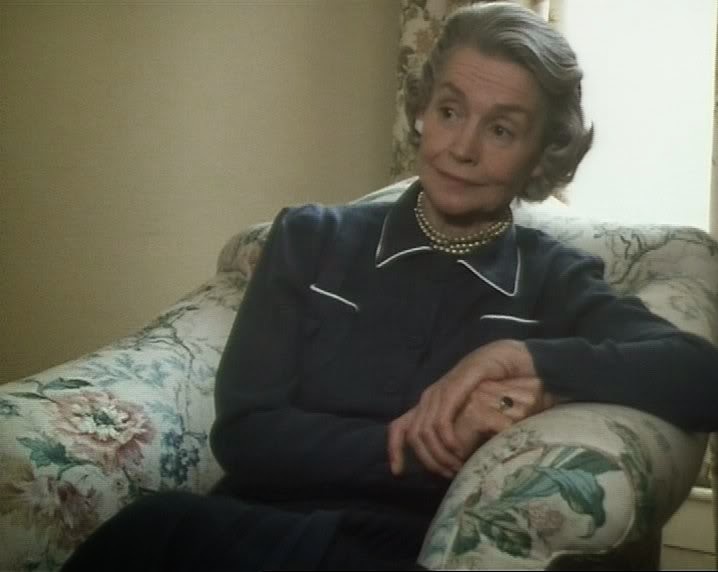 The above quote is one of my all-time favorite TV lines from one of my all-time favorite TV characters: Miss Hinchcliffe, from "A Murder Is Announced." 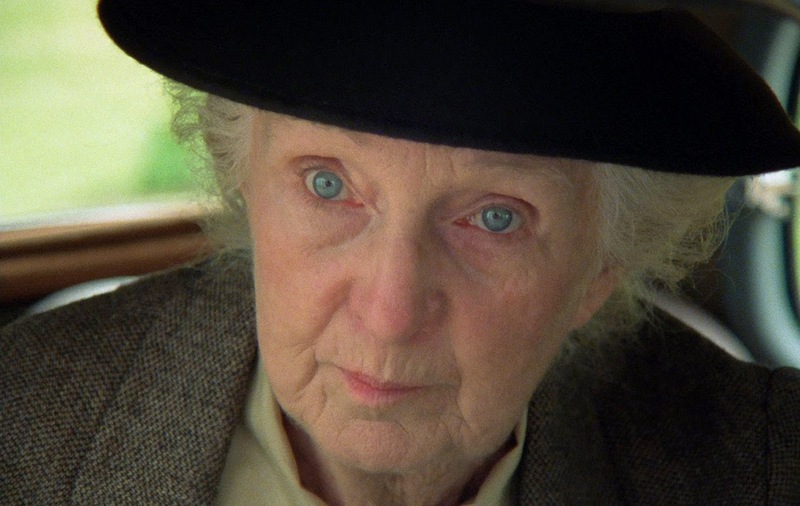 I have a weakness for all British mysteries, but I think Joan Hickson's Miss Marple is the greatest of all the British series, and "A Murder Is Announced" is the greatest of all episodes. This is my love note to "A Murder Is Announced." First of all, do you really think you're going to get away with anything with this lady on your tail? 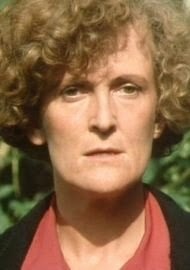 Joan Hickson is not very much like the Miss Marple of the books, but who cares. She is stunningly good, conveying moral rectitude and intelligence with just a touch of snoopiness. And those eyes are everything. Knocking around in her brown tweed suit and sensible shoes, she proves that star power has nothing to do with youth and beauty and everything to do with charisma. —which believe you me, do not go unclutched. 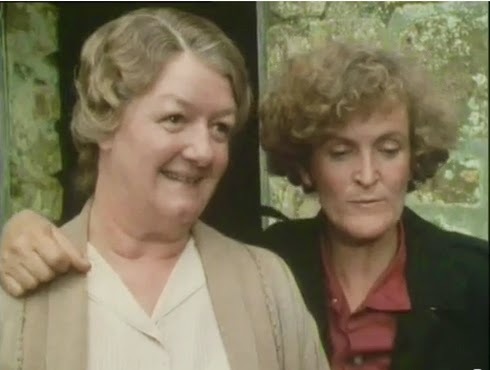 But my favorite, favorite, favorite are Miss Murgatroyd and Miss Hinchcliffe, the two middle-aged "companions" who share a cottage. Miss Murgatroyd is scattered-brained and soft, Hinchcliffe tough and sharp. But when everyone else dismisses Murgatroyd, and she herself says she can't remember or figure something out, Hinchcliffe is the first to say, "Yes, you can." Together they try to figure out who the murderer is, and Hinchcliffe rejects an early theory with the above immortal line. Hinchcliffe is singular and passionate and I love her.